Cultivating user reviews is an integral part of any search strategy, especially for local businesses. Columnist Pratik Dholakiya discusses the impact of reviews and provides tips for where to focus your efforts. A recent study affirmed the strong correlation between ratings and search engine performance for local businesses. The study was conducted by LocalSEO Guide and worked in cooperation with the University Of California, Irvine as well as PlacesScout. It analyzed the correlation between over 200 potential search engine factors and rankings for over 100,000 local businesses. Specifically, the study found that if a keyword is found in reviews of your business, or if your location is mentioned in a review, those enhance your rankings in the search results. Do reviews enhance your performance in general search results, outside of local search? That is a bit more contentious. Google itself has stated that star ratings in AdWords enhance click-through by up to 17 percent, and a study by BrightLocal has found that organic listings with 4- and 5-star ratings (in the form of rich snippets) enjoy a slightly higher click-through rate than listings with no stars. While there’s never been a formal confirmation, there is a great deal of evidence to suggest that higher click-through rates (CTR) may indirectly enhance your rankings in the search results. Even if reviews don’t directly impact search rankings, the fact that they enhance click-through rates may potentially affect your rankings in an indirect fashion. And increased CTR is a benefit in itself! User-generated content and reviews also heavily influence consumer decisions. A study by TurnTo found that user-generated content influenced buyers’ decisions more than any other factor looked at in the study, including search engines themselves. Google has made it easy for you to get your customers to review you, and this is the very first thing you should start with. Find your PlaceID using the lookup tool that Google has provided here. Put your business name in the “Enter a location” search bar. Click on your business name when it appears, then your PlaceID will pop up underneath your business name. Now, try that URL in your browser with your business’s PlaceID to test whether it works or not. It should take you to a search result for your business with a “Rate and review” pop-up window. Share this URL with your customers after transactions to pick up reviews on your Google My Business account. While the Google My Business reviews are likely to have the largest impact on search engine rankings, they are not the only reviews Google takes into consideration, and it is in your best interest to pick up reviews from third-party sites as well. 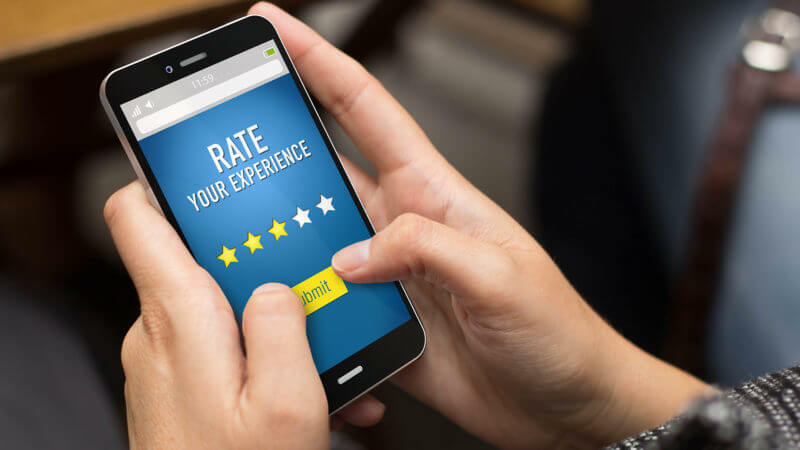 Third-party review sites can help you pick up more reviews more quickly, and they add diversity to your review profile, which enhances your legitimacy. This, in turn, imbues the reviews with greater authority. Identify any industry-specific review sites: Reviews from industry-specific sites (think Avvo for lawyers or ZocDoc for doctors) can be huge, especially if you know that your potential customers are using these sites. It’s important to identify which vertical review sites may be relevant to you and to devise a strategy for earning positive reviews on these sites. Seek reviews from product bloggers: While blogger reviews are an entirely different ballgame from user reviews, they are equally important. Links from trusted bloggers are a strong signal that can positively affect your search engine rankings, and if the bloggers have audiences who trust the reviewer’s opinion, their reviews can earn you referral traffic with conversion rates not achievable from most sources. Just be sure that the blogger discloses any financial arrangement you might have with them. Respond to your reviewers: So long as you handle it tactfully, responding to reviewers (including and perhaps especially negative ones) can have a tremendously positive impact on brand perception, as it shows that you care about your customers. The important thing to remember about responding to reviews is that your response is not only for the customer but also for anybody else who sees the interaction. How you treat that review is how they will expect to be treated. Use social media for customer support: While social media shouldn’t replace a customer support team, many consumers see social media as a place to solve any problem they are having with their product. Many also use social media as a place to complain, often without even trying to contact your business. Be prepared for this, and respond to any mentions of your brand on social media with an offer to help. Don’t make the mistake of asking them to talk to you and take the conversation offline. Keep it online and portray yourself in the best way possible. Ask the right questions: Whatever media you are using to encourage your customers to leave a review, it’s important to make sure you are asking the right questions. Asking them simply to let people know if they liked the product typically isn’t the way to go, since it leads to very generic reviews. Ask more specific, pointed questions about how the product helped them solve a particular problem. These are the kind of stories that encourage people to purchase a product. Online reviews play an incredibly important part in a buyer’s journey, from interest to purchase. They have a heavy influence on rankings in local search results and play an important part in more traditional search engine performance as well. Brick-and-mortar businesses should use thank-you emails and other customer communications to point consumers to their Google My Business pages. Take advantage of third-party review sites to easily encourage reviews. Reach out to your customers and online influencers to improve coverage of your products. Do not neglect these efforts. User reviews influence modern purchasers heavily. If your product is strong, your efforts will pay dividends.